PRICED TO MOVE $2,600 below Kelley Blue Book!, EPA 33 MPG Hwy/23 MPG City! BMW Certified, CARFAX 1-Owner, ONLY 16,868 Miles! Nav System, Moonroof, Heated Seats, All Wheel Drive, Rear Air, Onboard Communications System SEE MORE! 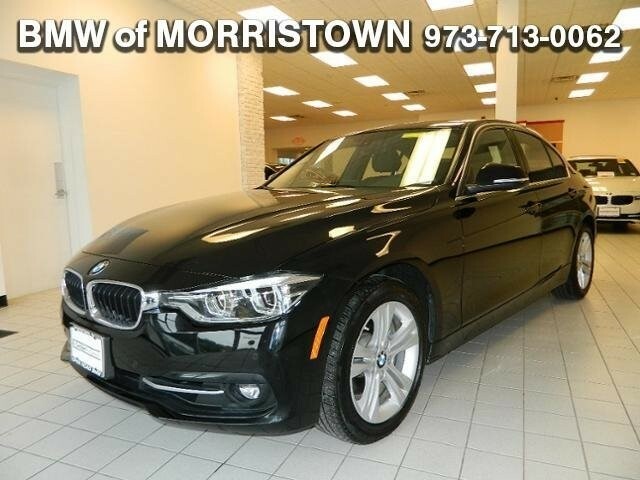 This 330i xDrive is priced $2,600 below Kelley Blue Book. All Wheel Drive, Rear Air, Turbocharged, iPod/MP3 Input, CD Player, Onboard Communications System, Aluminum Wheels, Dual Zone A/C. Steering Wheel Controls, Child Safety Locks, Heated Mirrors, Electronic Stability Control, Bucket Seats. PREMIUM PACKAGE LED Headlights, Moonroof, SiriusXM Satellite Radio, Comfort Access Keyless Entry, Lumbar Support, NAVIGATION SYSTEM Remote Services, Advanced Real-Time Traffic Information, BMW Connected App Compatibility, BMW Online & BMW Apps, Instrument Cluster w/Extended Contents, DRIVER ASSISTANCE PACKAGE Rear View Camera, Park Distance Control, HEATED FRONT SEATS. BMW 330i xDrive with Jet Black exterior and Black SensaTec interior features a 4 Cylinder Engine with 248 HP at 5200 RPM*. "Balances sharp handling with a ride quality that won't beat you up; engine choices that offer power, smoothness and fuel efficiency; upscale, spacious interior with logical and easy-to-use controls." -Edmunds.com. Great Gas Mileage: 33 MPG Hwy.